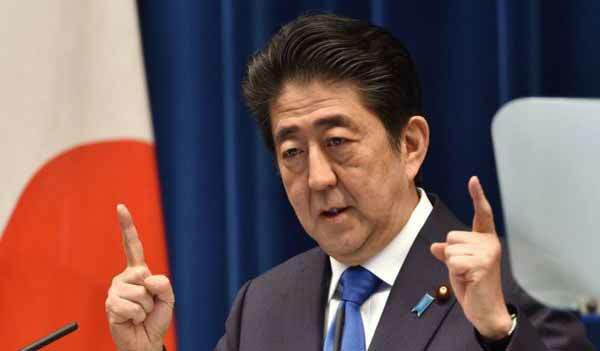 Tokyo, Japan (BBN) – Japan’s Prime Minister Shinzo Abe has dissolved the lower house of the parliament ahead of a snap election. The poll, announced on Monday and which comes a year early, will take place on October 22, reports BBC. Mr Abe is seeking a fresh mandate amid a rebound in his approval ratings and the ongoing North Korea nuclear crisis. The right-wing hawk became prime minister in 2012, and his Liberal Democrat Party (LDP) leads a ruling coalition that controls the Diet. Mr Abe suffered a drop in popularity earlier this year over allegations of cronyism. But he’s seen fresh support after North Korea fired two ballistic missiles over Japan, which Mr Abe took a strong stance against. His call for a snap election was seen as taking advantage of a weak opposition, and the LDP is still leading in opinion polls. But he now faces a new contender in the form of the fledgling conservative Party of Hope, led by popular Tokyo governor Yuriko Koike.